Its been quite a while since I did my first review of a TPMS (Tyre Pressure Monitoring System) back in September 2015 in fact, on a Tyre Pal system sent to me for review. I did like it but it did give me a few things to think about. Later on I got to test out the Fit2Go TPMS and I ran with that for about 12 months. However I still wasn’t convinced this was the one for me. With the Tyre Pal I did like the information, but on a screen that size I would have liked to be able to see all the pressures and temps altogether rather than scrolling through each wheel. Although it did cross my mind at the time “do I really need all this info” and that’s why I liked the Fit2Go unit. It sat there quietly monitoring the wheels and just occasionally flashed at me to say everything was OK…. or beeped if there was something wrong. I did eventually miss not being able to see the pressure and temp of each wheel and started to think my earlier statement was flawed. I had an issue with the Fit2Go unit at around nine months of using it. The batteries in one of the wheel sensors failed… and a couple of weeks later a second battery went down. This was a bit of an issue as the sensors on this unit were sealed and the batteries weren’t replaceable (a plus point for the TyrePal here!) Credit to guys at Fit2Go… now re-branded as Michelin – they sent me out a complete new unit and four sensors. I installed the replacement unit and sensors and ran with that for a while. Going into work at around 04:45 in the morning, I pulled off our drive the unit started beeping, indicating a low pressure tyre. I pulled over and checked the small LED on each sensor… no flashing red indication. Tyres looked good, checked the pressure with the Fit2Go hand-held unit and all as they should be. I carried on. The beeping stopped. A few days later as I had just got onto the motorway it went off again, pulled onto the hard shoulder, checked each sensor and wheel… no flashing LED and all wheels looked OK. I also took the time to check the pressures again, all OK. On the fourth or fifth time this happened I gave up checking. It only seemed to happen with an early morning start and I started to doubt the info I was getting from the unit. 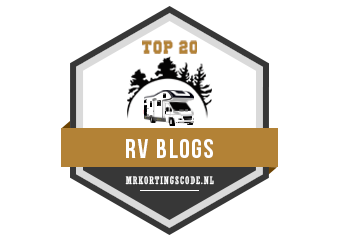 I started looking around for alternatives… mainly in the US for RV TPMS systems as they seemed to have a greater number of options. It wasn’t long after this that I got the e-Trailer unit to test. Which as well as checking the leisure battery voltage, monitoring the fridge temp and a host of other things had TPMS monitoring for your caravan wheels and sent alerts directly to your phone. With this fitted I had at least covered off the important wheels when towing. I just needed something for the truck. Looking around at what was available on Amazon.Com in the USA made me realise how much we are actually paying in the UK for this stuff. There were units branded for the American market that were identical to those in the UK for a lot less even with the poor exchange rate. The unit had a couple of options for mounting. The sensors had replaceable batteries and were pre-coded to the unit. Each was marked with the correct location… FL, FR, RL and RR. After much procrastination about where to put the display (it’s a man thing) I could not make my mind up so for the time being it sits on top of the steering column…. It comes complete with a small spanner for the lock nuts, a do-hicky for replacing the battery in the sensors and for £50 it seems like reasonable quality. It does what it states on the box, it’s small enough to put almost anywhere (and that’s my problem… where!) and if you have amazing eyesight… it even has a vehicle battery voltage display right in the centre! And if that didn’t clinch the deal… it even alarms when the batteries are low in the sensors. So was my £50 well spent? Well at the moment I think so. (I reserve the right to change my mind in the future) You know me by now and if I thought it was a jockey wheel with out a handle…. I’d tell you! *It won’t cost you any more but you will get that warm fuzzy feeling knowing Amazon are going to give Caravan Chronicles some of their profit.